Up for sale is my mining rig with 6 Asus strix AMD rx480 8gb cards running on ethos. You can mine a whole range of coins with this software, easy to use and has overheat protection while mining. Check the ethos website if you are unsure. 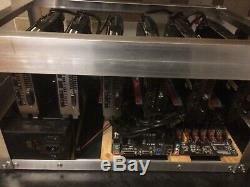 Mining ethereum this rig will do just over 170MH and is very stable, rig gave me no bother whatsoever. 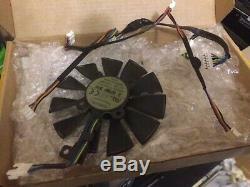 Im giving with this listing a free fan and free gpu riser + ethernet cable. Rig is over a year old but past 4 months or more hasn't been running because i no longer have the spare room. Please note that after receiving this item you will need to make sure the risers are seated properly in the 6 slots on the motherboard as if they have moved during transport the rig will not boot into EthOS. Parcel will be well packaged with internal bubble wrap etc and fragile stickers on outer box. Any questions feel free to ask. 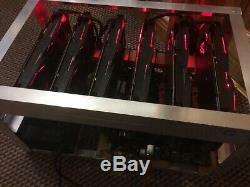 The item "GPU Mining Rig with 6x Strix AMD RX480 8gb on ETHos setup-Ready to mine 170MH" is in sale since Friday, April 5, 2019. 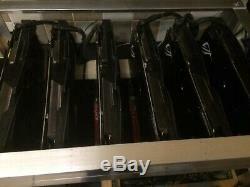 This item is in the category "Coins\Virtual Currency\Miners". 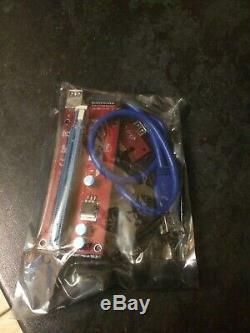 The seller is "coinman_87" and is located in Armagh. This item can be shipped to United Kingdom.